Saori Kobayashi uniquely blends ethnic, orchestral, and electronic elements into a unique, immersive sound. 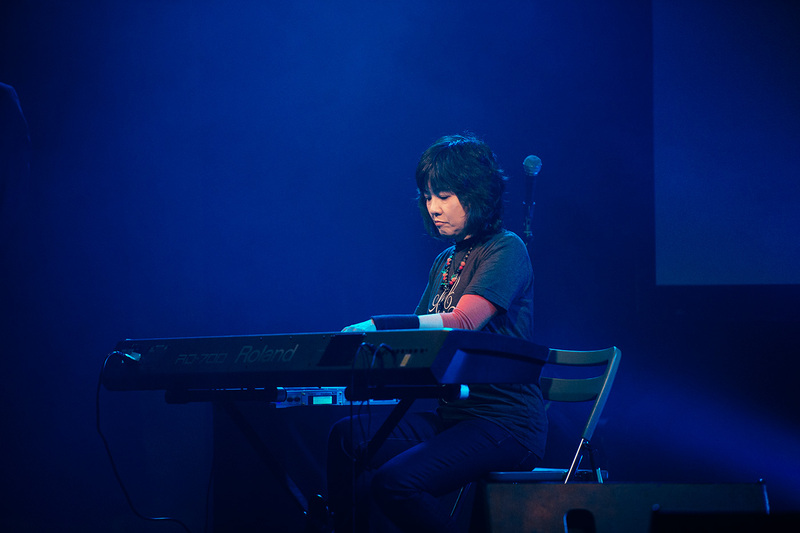 Widely known for her scores for the Panzer Dragoon and Crimson Dragon series, the artist has also released two albums through the unit AKANE with vocalist Yumiko Takahashi and is currently preparing her debut solo album Terra Magica. In this interview, Kobayashi summarises how she went from navigating the Game Gear’s sound chips to cultivating her sound on large-scale Sega projects. Along the way, she briefly discusses AKANE, her solo album, and a range of other projects she has been involved in. Joe: Many thanks for taking the time to talk to us today, Saori Kobayashi. You’ve been working on video games since the early 90s. 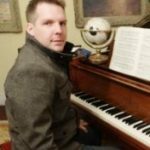 Could you tell us about your path into composing games for Sega? Saori Kobayashi: I graduated from Musashino Academia Musicae with a major in piano. But I realized that I always preferred composing to performing. So after graduating university, I helped a friend’s company out by composing music for television and other media. This gave me my first experience composing game music for the licensed games Inspector Gadget and Deep Duck Trouble. As it was the first game I composed for, I remember composing Inspector Gadget with great care, although I don’t think I made a particularly satisfying soundtrack overall. A sound director at Sega then invited me to join the company, which I accepted. Joe: You navigated the challenging hardware of Sega’s Game Gear throughout your early years in the company on titles like Deep Duck Trouble, Sylvantale, and Sonic Drift 2. Could you describe your experiences working with this hardware and how you overcame limitations? Saori Kobayashi: I worked on the Game Gear before joining Sega doing the music for Deep Duck Trouble. 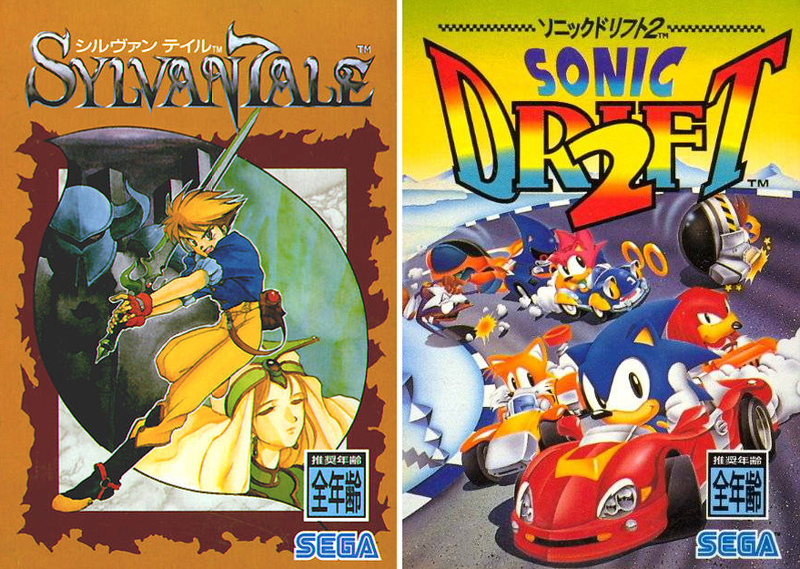 I later went on to work on Sylvantale and Sonic Drift 2 after joining Sega. The character Donald and the RPG nature of Sylvantale made it very easy to compose music that matched the imagery of those games. I composed for those games in exactly the way I anticipated. For example, I composed a piano theme in polyphony, which was a smooth process that didn’t take much time and received a good reception from staff. By contrast, Sonic Drift 2 was a racing game and it caused me a lot of worries. This was a tough game to work on, as the feel of the songs I made didn’t really mesh well with what the director had in mind. Joe: Would you ever consider going back to writing chip music? Saori Kobayashi: Working on 8-bit games allowed me to discover and learn many new things, and it was my gateway to game composition. It was a very good experience for me. But I think modern chiptunes are different from what I made back then and would provide new experiences for me. So if there are opportunities for me to try chiptunes, I’d love to have a go. Joe: During the writing of the Panzer Dragoon scores, you used the sound systems of the Saturn and Xbox. What were they like to work with, especially after years writing Game Gear scores? How did you create the “unique Panzer world instruments” featured in these scores? Saori Kobayashi: The Game Gear allowed me to only use three phrases, but the Saturn increased the number of sounds that could be used. It allowed me to utilize complex harmonies and increase the breadth of the game world. That said, there were still storage capacity limitations in this era, so I had to lower the quality of the sound along with other adjustments. These limitations actually led me to creating the unique Panzer world instruments. The Xbox allowed me to do practically anything I wanted. 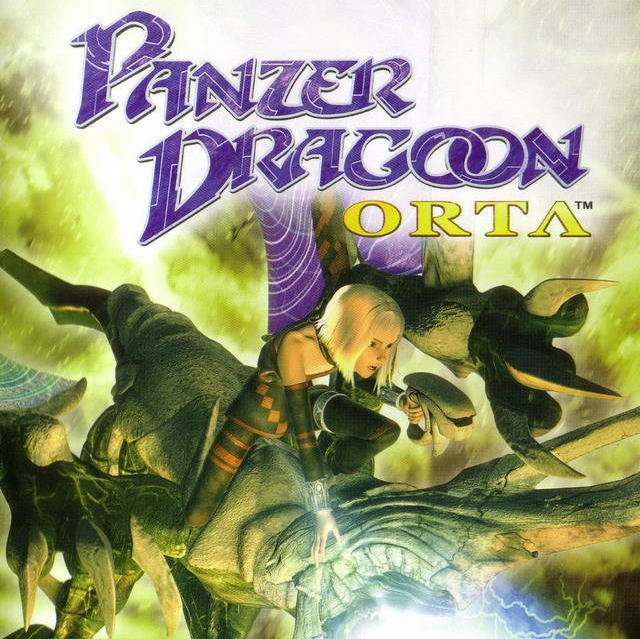 Orta was a shooter rather than an RPG, which presented its own greater challenges. I would say that better hardware does not necessarily make things less challenging for composing. Joe: Your soundtracks for Panzer Dragoon Saga and Panzer Dragoon Orta are among the most unique game scores ever created. Please describe your process for composing for this series. Did you have a lot of freedom? What inspired you and challenged you on these works? Saori Kobayashi: The projects were quite rewarding for me, personally. Utilizing both orchestral and electronic tracks, as well as combining them together, were personal experiments on mine. There was one method I tried when making the main theme, which the sound director also suggested I do. Instead of making X number of songs for X numbers of scenes, I wanted to utilize the main theme in different areas, increasing the depth of the game’s world. But I realized that, if people thought there’s a set melody, then it would actually bring about limitations. However, for the parts of the game whose direction and flow were clear, it was actually easy to feel inspired. Joe: Prior to you inheriting the series, the soundtracks for Panzer Dragoon and Panzer Dragoon II Zwei had already been released. How did you inherit the musical duties for this series? To what extent were you influenced by past entries in this series, and why did you reference Yayoi Wachi’s “Empire” theme in Panzer Dragoon Saga? Saori Kobayashi: The sound direction between the first and second games were vastly different. This came about due to Wachi-san, the director of Panzer Dragoon II Zwei. I love the worldview of the game. Saga was an RPG, so I made sure to uphold the world of the series. The use of “Empire” as a reference was actually the director’s idea. Joe: After gaining exposure through the Panzer Dragoon series, you worked for several years as a freelancer on various projects. Could you discuss what led you to go freelance and how you developed your repertoire? Could you share the stories behind the soundtracks for Shadowgate 64, Hoshigami Remix, and Hototogisu Ran? Saori Kobayashi: I didn’t mind staying at the company, but due to personal and professional reasons, I decided that a more free and flexible lifestyle was more appropriate for my career development. Shadowgate 64, Hoshigami Remix and Hototogisu Ran all came about after I became a freelancer, and an acquaintance of mine introduced those projects to me. While I did the composing and arrangements for these games, the actual sound data that made it to the final games was done by a different person. This led to a direction that was different from my own. I’m actually not overly satisfied with what came out at the end. NANA Channel: I actually worked on this project before leaving Sega. I was helping out a company of my friends at that time. MIDI Pro Power 7 -Gradius-: As with NANA Channel, I helped out some friends to make this arranged album for the Gradius series. Super Monkey Ball: Banana Splitz: I was asked by a friend of mine who worked at Marvelous to do the music for this game. This was a genre I had not dabbled in much, but the creators wanted me to inject my own ideas into the game world. I found the project quite interesting and was happy to participate. Sakura Note: Nobuo Uematsu found out that I was active in music through AKANE and he liked the musical style. He asked us to do an arrangement for the main theme of this game. In Flux: When making Crimson Dragon, one of the staff members on that project introduced me to Alexander Aniel from Brave Wave, and Alex in turn introduced me to Mohammed Taher. They really liked my work on Panzer Dragoon, and wanted me to make one song for In Flux. That’s how I ended up connecting with Brave Wave. Jos: Let’s talk about your work with AKANE. Could you tell us how and why you formed AKANE with Ms. Yumiko Takahashi? What did you want to achieve with the group’s two albums? Saori Kobayashi: I do love working on BGMs, but I’ve wanted to break away from that for a while to make original music. Video games taught me how to make music for pre-defined worlds, and I had been wanting to utilize what I’ve learned. I was brought together with Yumiko Takahashi through a mutual friend. I heard that she sang Japanese folklore music (Nihonminyo), and when I listened to her vocals, I thought that maybe we could make something interesting together. As a fan of Panzer Dragoon, Yumiko thought the same thing and so we combined our strengths to form the band. Joe: Your latest work, your long-awaited sophomore album Journey, features new performances from AKANE. How would you compare this album to its wonderful predecessor Kochae? What highlights can listeners expect from the release? Saori Kobayashi: Our first album Kochae is, first and foremost, a Japanese folklore music album, which allowed us to find our direction for AKANE as a band. Our second album Journey came out long after Kochae, and in the intervening period, we created songs that eventually ended up in our second album. We did test out our songs at live performances, and slowly began to build up the style and world of the album. I combined the orchestral and electronic sounds I used in the Panzer Dragoon games to create something more fantastical. AKANE also ended up working on game music during the time thanks to our development since Kochae. Kochae has paved the way for many opportunities for us. Joe: You have described the musical style you have built through AKANE as “ethtronic”. This seems very similar to the Panzer Dragoon philosophy of blending ethnic folksong features with electronic-based sounds. To what extent would you agree? How far has AKANE been influenced by Panzer Dragoon? Saori Kobayashi: As a matter of fact, the sound of AKANE does derive from the sound of the Panzer Dragoon games. Without the series, I doubt AKANE would have been formed. My work on the Panzer Dragoon series has been such a large influence on my life. Joe: Your latest full scores are Crimson Dragon and Crimson Dragon: Side Story. What was it like to reunite with Yukio Futatsugi on this Panzer Dragoon-inspired game? How did you adapt your unique sound for this franchise? Saori Kobayashi: It was a real honor to work with Yukio Futatsugi again. I’m a fan, personally, of the world he created with the dragons. He also trusts me when it comes to making the music for the game. He didn’t give me specific direction with the music, instead letting me compose the music the way I saw fit. 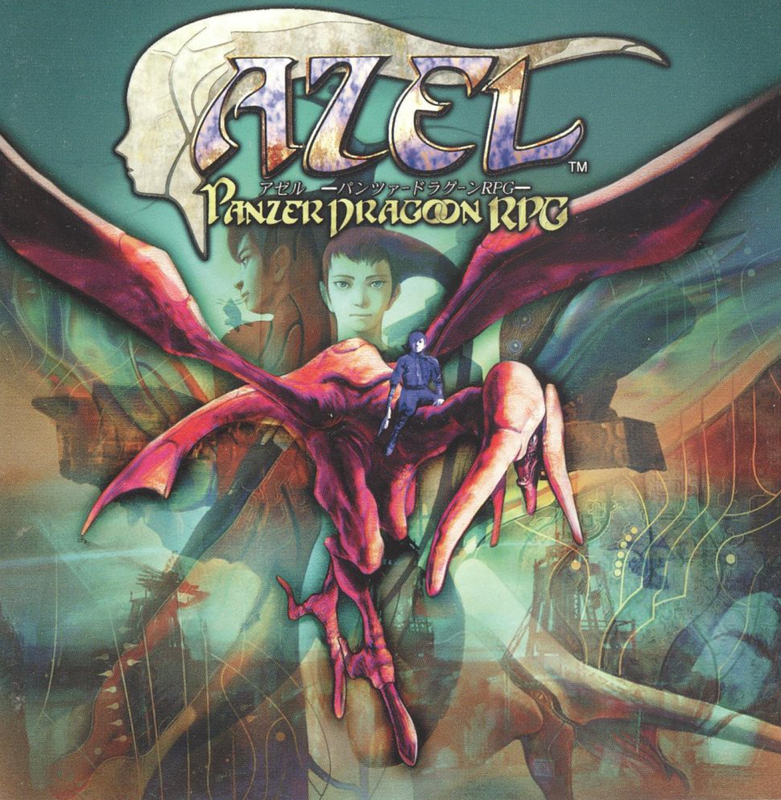 I didn’t compose the songs with the specific intent of avoiding Panzer Dragoon; I just saw images of the game, listened to the developers’ comments, and naturally produced the soundtrack. Joe: Many were disappointed that the music for Crimson Dragon was re-arranged in a Hollywood style for its release. What inspired this change and how do you feel about it? While the main theme has been released on Journey, is there any hope that we will one day enjoy your soundtrack in full? Saori Kobayashi: I don’t think the Hollywoodization of the soundtrack was a bad thing in and of itself. I just felt it was a bit unfortunate that the music I had managed to prepare for the original version before its initial release ended up not being used. 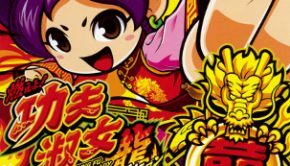 When Crimson Dragon became an Xbox One title, the project underwent some changes in scale, and the final product ended up with varying opinions from fans. I’d absolutely love to be able to release my original version of the soundtrack if there is demand for it from the fans. For Crimson Dragon: Side Story, actually I ended up personally going through the songs in the game and making new mixes for them. I’d absolutely love to be able to release the soundtrack if there is demand for it from the fans. Joe: You recently announced your first solo album, Terra Magica. Can you tell us how you came up with this name? What kind of musical and artistic direction are you taking your solo album in? 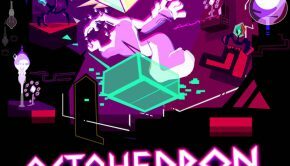 Saori Kobayashi: I’m imagining this album as something like an “anti-soundtrack.” Soundtracks are attached to games with stories and visuals, which influence the musical direction. My solo album doesn’t have any of that. I want it to be something that contains a myriad of emotions, such a beginning, middle and end, life, happiness and sadness, even battle. 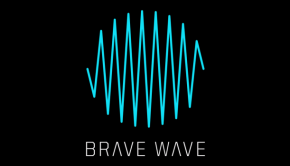 That’s why the name, suggested by Marco ‘Monomirror’ Garcia of Brave Wave, really fits well with what I want to do. I’m working hard to make this a worthy music album. Posted on September 7, 2015 by Chris Greening. Last modified on September 13, 2015.